Abu Simble Temple Day Trip from Aswan by Flight. 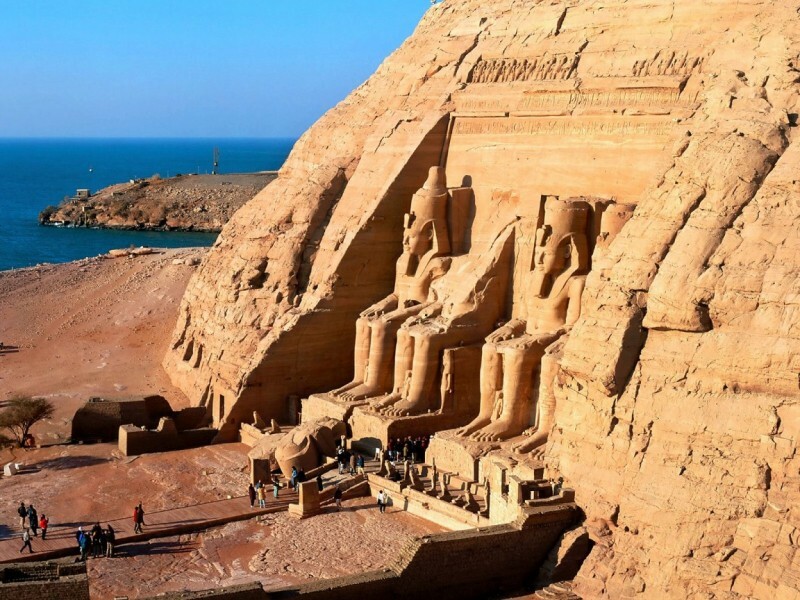 You will enjoy visiting the two temples of Abu Simbel, with their unique style, are considered the masterpieces of ancient Egypt. The Egyptian government and UNESCO decided to co-operate in order to save these temples from the flood. Our Representative will pick you up from your hotel in Aswan to fly to Abu Simble which its main attraction being the great sun temple of RamsesII and the temple of queen Nefertari . Both temples was discovered in 1813 it was almost completely covered with sand. Then both temples were moved in 1960 by the help of Egyptian government and UNESCO to avoid the rising water of the Nile. Ramses II built the temple mostly to honor himself as inside there is a mural depicting his famous victory at Qadesh battle where his army defeated his enemies. On the north of Ramses temple, the Nefertrai Temple which was built by Ramses II to his favorite wife queen Nefertai among other 200 wives and concubines. After finishing the visit you will flight back to Aswan and then you will be driven back to your hotel.